No headphone jack on your iPhone? No problem. This Scosche StrikeLine adapter features a Lightning connector for your iPhone and a stereo 3.5mm jack, so you can keep using your favorite wired headphones. It also offers a female Lightning port, so you can plug a Lightning-to-USB cable from this adapter to your vehicle's USB port to charge up your phone while you listen. 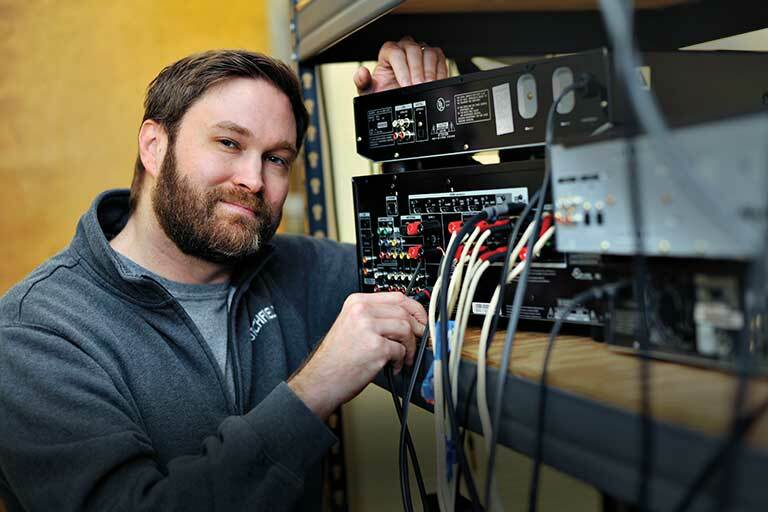 The adapter has in-line controls for volume and track skipping. A sweat- and moisture-resistant design means you can use it when you work out with your iPhone. StrikeLine Adapter (Ligtning-to-3.5mm with Lightning Pass-Through): The Scosche StrikeLine I3AAP Lightning to 3.5mm adapter with Lightning Pass-Through allows you to plug your existing headphones directly into your iPhone 7, 7+, or newer Lightning device through the Lightning port without losing your charging ability. 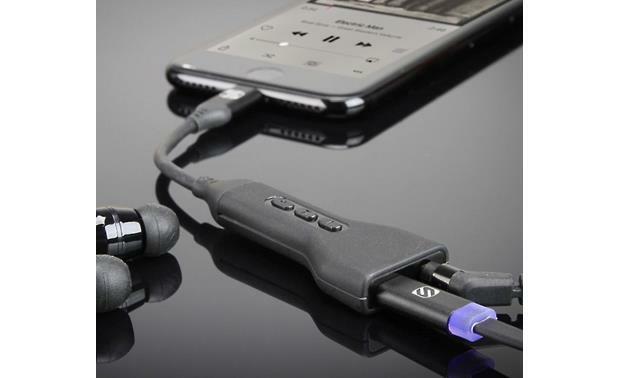 This enables you to still use your current wired headphones and enjoy an enhanced overall listening experience. The I3AAP adapter also gives you to ability to plug your iPhone 7, 7+, or newer Lightning device into an Aux input of a home receiver, car stereo, or pair of powered speakers - while you charge your Apple device (Lightning & minijack cables sold separately). 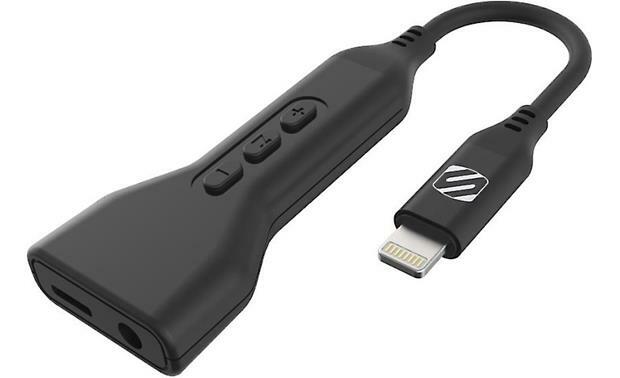 Connectors: The Scosche StrikeLine I3AAP Lightning to 3.5mm adapter with Lightning Pass-Through features a male Lightning connector on one end that plugs into your iPhone 7, 7+, or newer Lightning device. On the other end is a female 3.5mm jack which connects to a 3.5mm headphone cable or aux cable, plus a female Lightning-connector jack that can be used to plug in your Lightning-to-USB cable and charge your Apple device. Inline Remote Control: The Scosche StrikeLine I3AAP Lightning to 3.5mm adapter is equipped with an inline remote control for Volume Up/Down and Play/Pause. Searches related to the Scosche I3AAP StrikeLine™ Lightning® (male) to Lightning (female) and 3.5mm headphone adapter.